Looking for that perfect holiday gift? 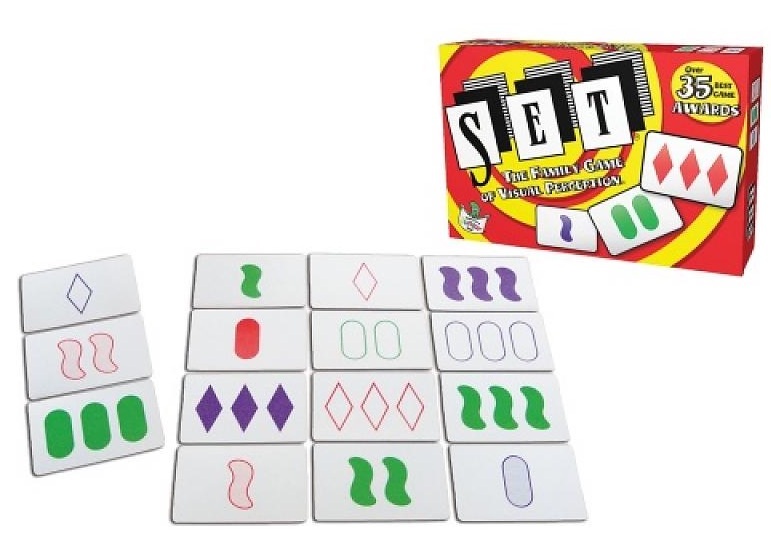 There’s a simple solution: head to Additions, the shop at MoMath, or browse online at shop.momath.org, and watch the possibilities multiply! 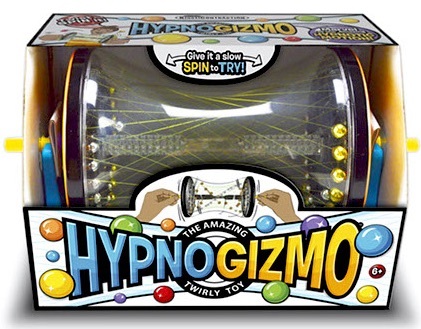 Give the HypnoGizmo a twist, and watch it twirl with whirling, clicking fun that keeps you spinning. 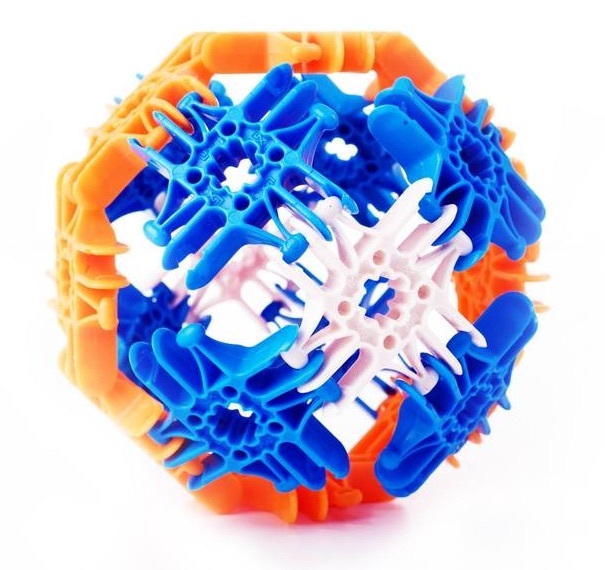 This wild wonder keeps your hands busy and your mind engaged with its eye-entrancing hyperboloid. Once you pick it up, you can’t put it down. If you like MoMath’s Hyper Hyperboloid exhibit, you’ll love this! 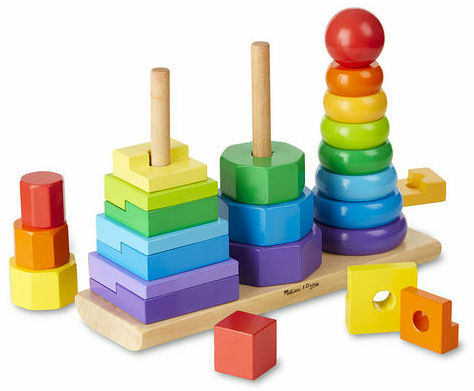 Match and sort these 25 colorful wooden pieces; skill-building is just part of the fun. Rings, octagons, and rectangles can be slotted onto the three rods, stacked on top of each other, or lined up to compare shapes, sizes, and colors. This first-concepts set is a manipulative all-star! This deceptively simple bedtime book, the first in the McKellar Math line, gives your child the building blocks for math success. As children say goodnight to the objects all around them—three wheels on a tricycle, four legs on a cat—they will connect with the real numbers in their world while creating cuddly memories, night after night. 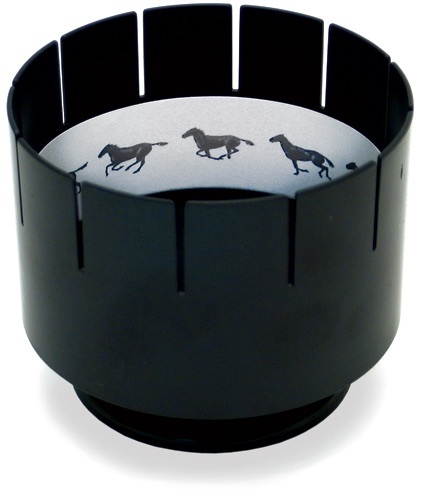 Pictures instantly spring to life with a Zoetrope! Horses run, orcas dive, frogs jump, and more! Included are the original twelve picture strips designed by celebrated animator, Ruth Hayes. Also, try sketching on the six included Draw-Your-Own strips. The included instruction booklet provides a history of this classic invention, explains how it works, and tells you how to bring your own drawings to life. Using a unique teaching tool designed to motivate kids to learn, this book visually explores the concepts of factoring and the role of prime and composite numbers. 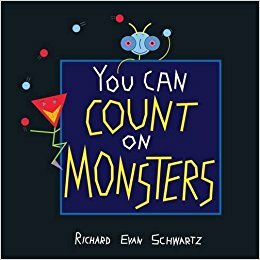 The playful and colorful monsters are designed to give children (and even older audiences) an intuitive understanding of the building blocks of numbers and the basics of multiplication. The introduction and appendices can also help adult readers answer questions about factoring from their young audience. Create and explore the fascinating structures and mechanical motions of Plato’s famous five regular solids with the amazing, moving LUX! 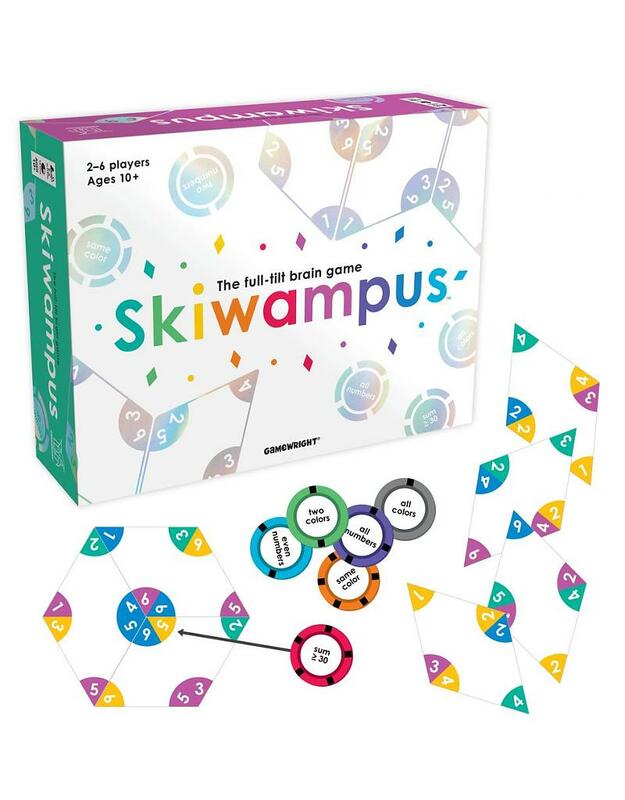 This dynamic new toy, now featured in MoMath’s Structure Studio, contains 170 colorful Lux Blox and an idea book for hours of creative exploration. 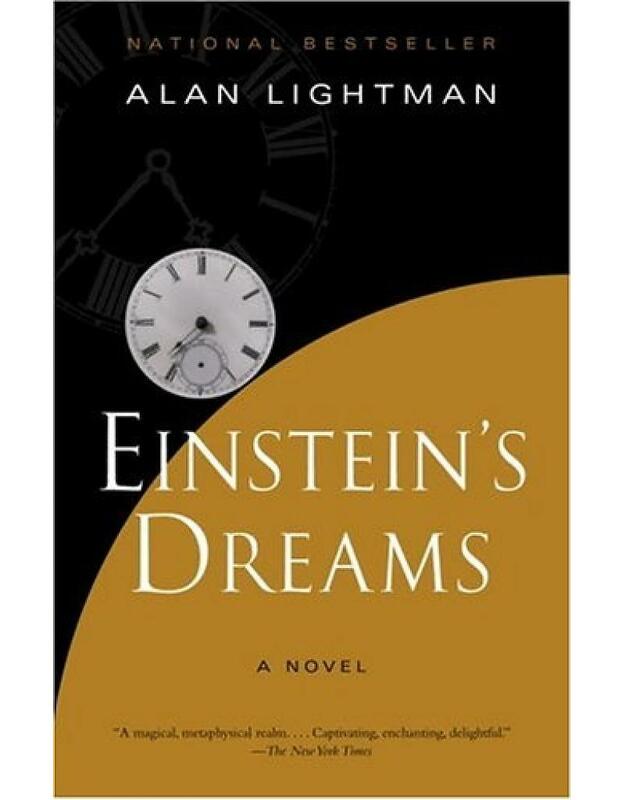 Seconds before the Earth is demolished to make way for a galactic freeway, Arthur Dent is plucked off the planet by his friend Ford Prefect, a researcher for the revised edition of The Hitchhiker’s Guide to the Galaxy, who has been posing as an out-of-work actor for the last fifteen years. Together this dynamic pair begin a journey through space aided by quotes from The Hitchhiker’s Guide, which claims, among other things, that 42 is the ultimate answer to life, the universe, and everything. Is there math in this whimsical odyssey, or is it math fiction? 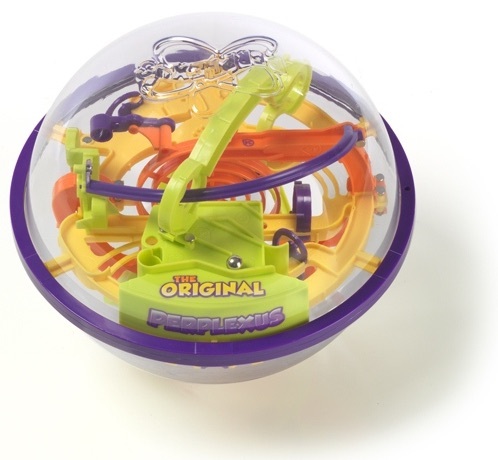 Perplexus is the original challenging 3D Labyrinth contained within a sphere! Inside the Perplexus, you’ll face 22 feet worth of challenging twists, turns, and obstacles! Flip, twist, and spin Perplexus to move the ball along the numbered path. If you fall off the track, just head back to the start and try again. It’s easy to play, but hard to master: it’s a bendy, trendy, can’t-put-it-down challenge! In this unique series of puzzles, there’s an unusual challenge: no instructions provided! It’s up to you to figure out what the puzzle is before you can even attempt to solve it. Each volume contains 36 puzzles for hours of intriguing entertainment. 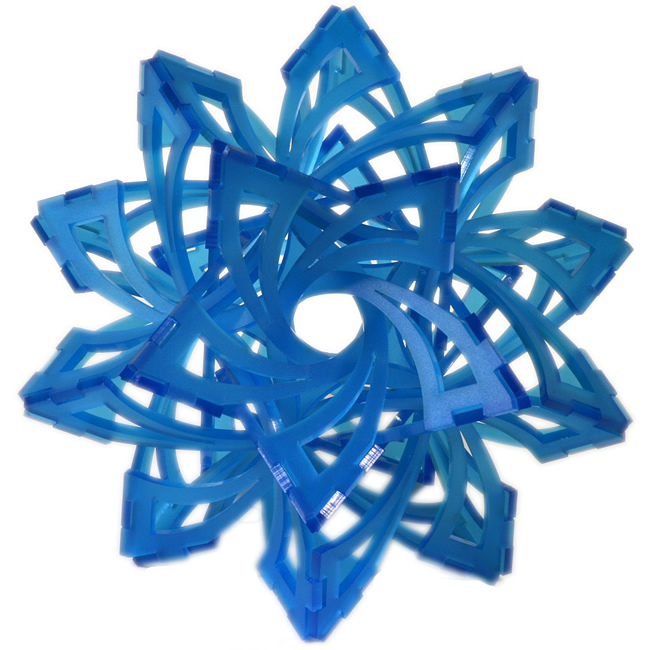 Frabjous is both a sculpture and a geometric assembly puzzle. Made of thirty identical pieces, the planes of the shape are the face planes of a great rhombic triacontahedron, a self-intersecting polyhedron with thirty rhombic faces. Complete this challenging puzzle and you’ll be rewarded with a beautiful mathematical sculpture. 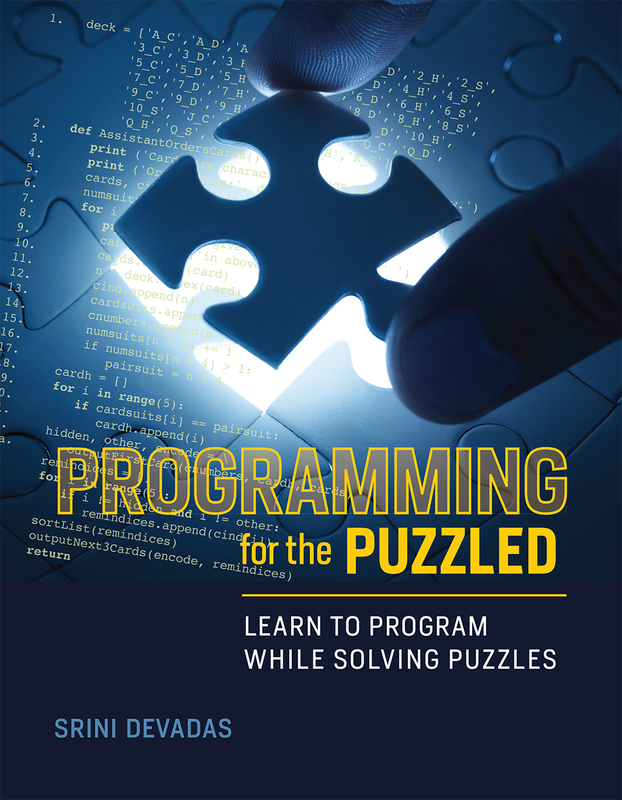 This book builds a bridge between the recreational world of algorithmic puzzles and the pragmatic world of computer programming, teaching readers to program while solving puzzles. Puzzles are real-world applications that are attention grabbing, intriguing, and easy to describe. Each lesson starts with the description of a puzzle. After a failed attempt or two at solving the puzzle, the reader arrives at an Aha! moment—a search strategy, data structure, or mathematical fact—and the solution presents itself. The solution to the puzzle becomes the specification of the code to be written. 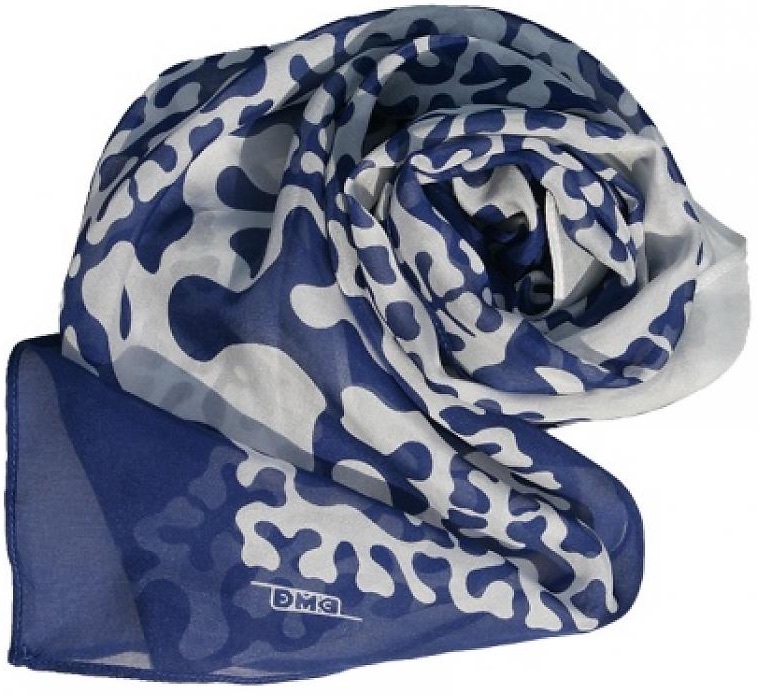 Based on fractals and space-filling curves, DMCK Designs manufactures prints that are as elegant as they are mathematically precise. With a unique aesthetic, these scarves are a great accessory for the intellectual. Outmaneuver your opponents in this full-tilt, action-packed, brain-builder. Arrange your tiles so that the corners connect to form an array of patterns, but work fast — everyone plays at the same time! It’s a geometric jam that requires sharp eyes, quick thinking, and nimble hands. Let the wild Skiwampus start! Each month of this 2018 calendar features a fascinating new math topic illustrating the incredible influence of mathematics on our lives. Plus, each day includes a math problem for which the solution is the date. From a zebra’s stripes to a spider’s web, from sand dunes to snowflakes, nature is full of patterns based on mathematical principles. 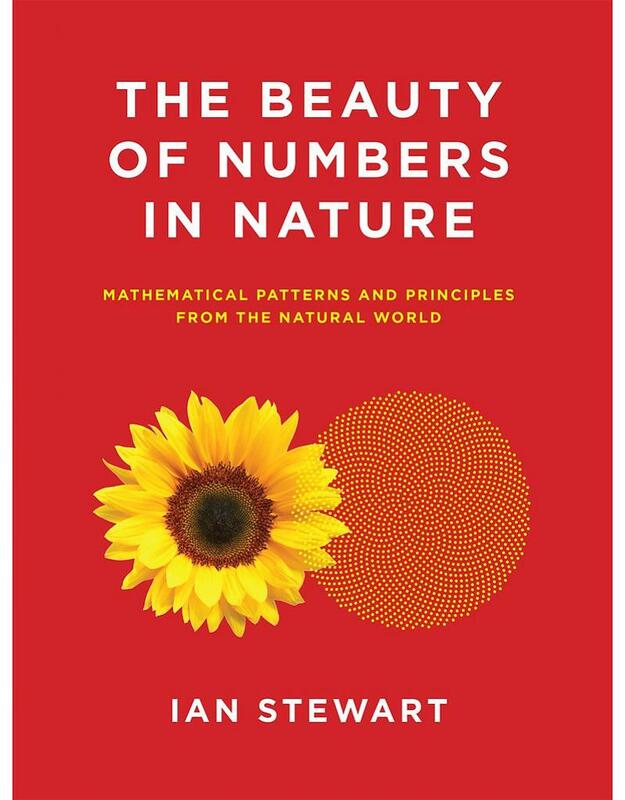 In The Beauty of Numbers in Nature, Ian Stewart shows how life forms from the principles of mathematics. Explore different kinds of patterning systems and their mathematical underpinnings, and discover some universal patterns—both in nature and made by humans. From the basic geometry of ancient Greece to the complexities of fractals, see how math shows up in the world around us. 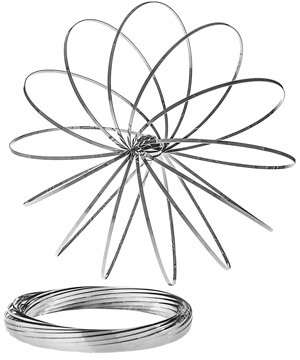 A captivating kinetic sculpture and torus-shaped toy made from a single spiraling strand of metal, Toroflux takes math and puts it in motion. Let it flow freely along your arm, pass it off to a friend, or just loop it around and around for a mesmerizing experience. Give the gift of math—and let the recipient choose how to use it. Purchase by phone or stop into Additions to pick up your card today. Gift cards can be redeemed in the shop or applied toward the cost of admission to the Museum.